Mother’s Day is an emotional day for a lot of people. Maybe that’s because you don’t have the ideal relationship with your mom or she’s gone or (on the happier end of things) you’re happy and feel so blessed to have children of your own (or some combination of the above). The point is, it’s kind of a complicated holiday we try and put a nice spin on by giving our mothers a card or a bouquet of flowers or just calling her to say hello. And given how many people have a complicated relationship with the day, it’s almost fitting that the holiday itself has a pretty grim origin story. 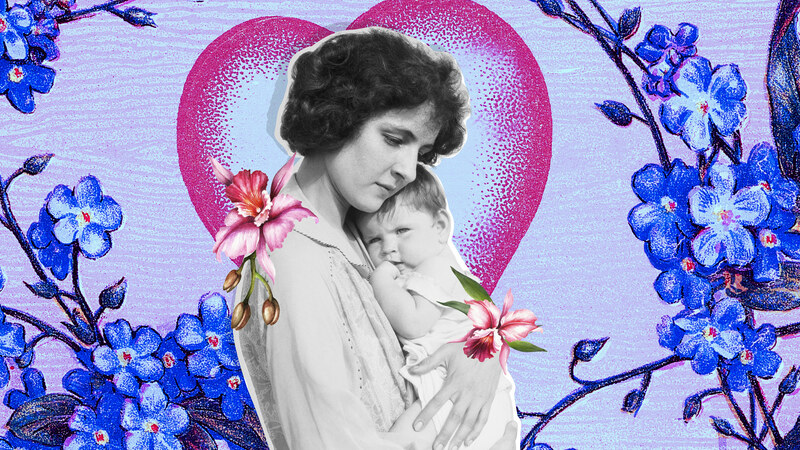 The first Mother’s Day as we know it was on May 10, 1908, when Anna Jarvis of West Virginia sent 500 white carnations to her late mother’s church in her honor and held a celebration of mothers in Philadelphia on the same day. By 1914, the holiday had taken off in cities and states around the country, and President Woodrow Wilson officially designated the second Sunday in May as Mother’s Day. In her book, Memorializing Motherhood: Anna Jarvis and the Struggle for the Control of Mother’s Day, Katharine Lane Antolini, an assistant professor of history and gender studies at West Virginia Wesleyan College wrote that Jarvis created her version of Mother’s Day around “a sentimental view of motherhood and domesticity, envisioning a day venerating the daily services and sacrifices of mothers within the home.” This makes sense and largely remains the concept of Mother’s Day we celebrate today. But here’s the thing: Anna Jarvis’ mother — Ann Reeves Jarvis — had the idea for a day for mothers decades before her daughter, and it looked nothing like the version that eventually caught on. Back in the 1850s, Reeves Jarvis noticed the high infant mortality rate — thanks to unsanitary living conditions, the spread of disease and contaminated milk — and wanted to do something about it. That’s when she decided to start a Mothers’ Day (yes, that’s mothers plural) where moms would get together and perform community service that would help other mothers from poorer backgrounds, Antolini explained in an interview with Time. The reason Reeves Jarvis had such a keen interest in maternal and infant health and mortality is because she didn’t have a great experience in that area herself. Time reported that out of the 13 children she gave birth to, only four lived until adulthood — something that, tragically, was not uncommon. And while this was a problem everywhere in America in the 19th and early 20th centuries, it was especially pervasive in Appalachia, where an estimated 15 to 30 percent of infants died before their first birthday, Antolini wrote in her book. One of the first events Reeves Jarvis organized in 1958 was an educational seminar for local mothers where they were able to talk to doctors about the latest hygiene and sanitary practices with the hope they would be able to implement them in their own homes, cutting down on the rates of contagious diseases and infections (and possibly death). So to recap: Reeves Jarvis was interested in educating mothers to understand the causes of infant mortality and wanted to start a day of service — Mothers’ Day — dedicated to helping those mothers who needed it most. Reeves Jarvis died in 1905, and then three years later is when her daughter honored her mother by creating a version of the holiday she never got to see during her lifetime — albeit one that skewed pretty far from her original vision of service and improving public health. Mothers’ Day became Mother’s Day singular — a day for people to celebrate their own mother. It’s not quite what her mother had in mind, but better than nothing, right? Well, kinda. While Jarvis wasn’t on board with her mother’s version of the holiday, she also didn’t like how quickly it was being commercialized once it went mainstream, National Geographic reported. But it was more than just the spike in flower and greeting card sales that she was against: Jarvis also didn’t want what she saw as “her” holiday co-opted by women’s organizations, charitable foundations or public health reformers, Antolini wrote in her book. To combat this, she threatened lawsuits and even went so far as to criticize first lady Eleanor Roosevelt for using the holiday to raise money for charities. Long story short, Jarvis continued to fight for the legacy of her specific version of Mother’s Day for the rest of her life. It didn’t work. According to Antolini, she died penniless in a sanitarium in a state of dementia in 1948. In the end, neither mother nor daughter were successful in implementing their vision for a perfect Mothers’/Mother’s Day. The real winners, of course, are the greeting card industry and whoever makes those trays with foldable legs used on TV for serving breakfast in bed.